Talbot, Michael：VIVALDI, Oxford University Press, 1993. Michael Talbot (2005). “The Italian concerto in the late seventeenth and early eighteenth centuries”. In Simon P. Keefe. The Cambridge Companion to the Concerto. Cambridge University Press. pp. 35-52. ISBN 052183483X. Michael Talbot (2011). 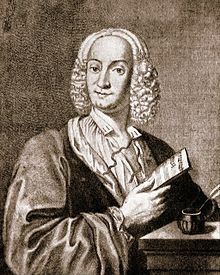 The Vivaldi Compendium. The Boydell Press. ISBN 9781843836704. Heller, Karl ：ANTONIO VIVALDI-THE RED PRIEST OF VENICE, Amadeus Press, Portland, 1997. Ryom, Peter : VIVALDI WERKVERZEICHNIS, Breikopf & Härtel, 2007.